Compact Job Invoice Forms 211 At Print EZ. 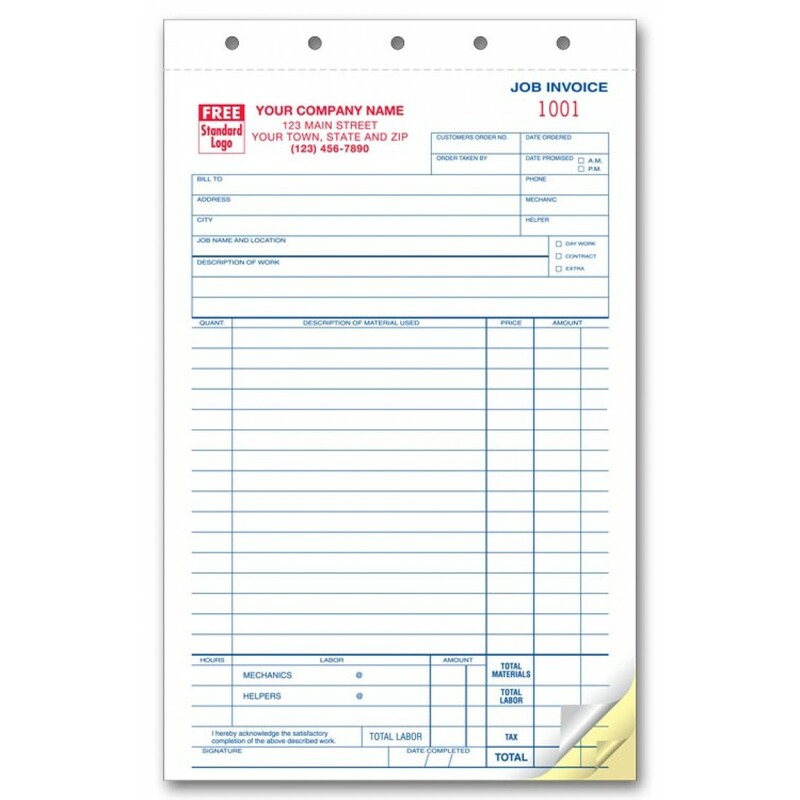 Compact Job Invoice Forms Item No. 211 Size: 5 2/3" x 8 1/2"
Paper work is mounting and the green belt is paying the price. You can put in your bit to change it all, while also lowering your work load significantly. 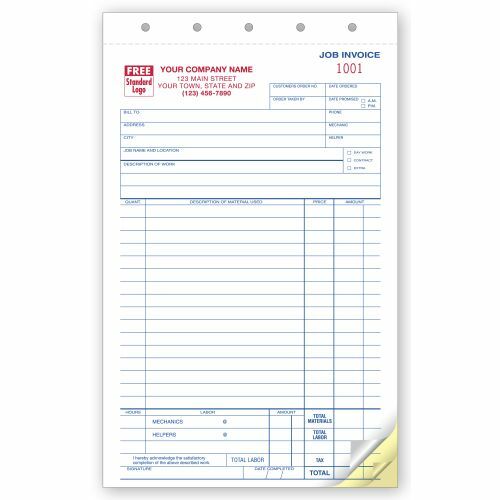 We bring to you our compact job invoice forms that double up as a combination of an invoice and work order forms, along with also giving you cost control records and material records. The convenience of these forms is tremendous. One slip of paper carries all the information regarding the sale along with a durable tag stock. These forms will make your electronic documentation as easy as putting a hot knife through butter. Convenience indeed. These invoices are just what I needed. I like that they're 3 part, a smaller size, and the print is very clear. I would recommend these invoices for sure! Very pleased with this product and company. The forms arrived very quickly and great quality. A great price with exceptional customer service. Will be using this company often. Very pleased with their product and service, customer service was very helpful and they called to follow up on order. The price is the best, I don't think anyone can do it for less. The product is like expected, I will for sure order from them again, there is nothing negative to say so if you need some forms this is the right place to go strongly recommend . Thank you all for the excellent service. Just what I ordered! Arrived on time. The job invoices that we ordered were just fine. Delivery was prompt. Fast service. Order correct. Can't ask for any better.